It’s summertime. You know what that means … curriculum shopping! (For me, it can sometimes be a year-round process when I come across great finds!). I don’t know about you, but I LOVE looking at curriculum and browsing the wonderful choices out there. I honestly feel like a kid in a candy store when it comes to curriculum shopping and school material shopping. I know that my intentions should focus more on what the kids will most likely be most engaged in. But, it also doesn’t hurt to peruse and learn more about options that also excite me. After all, I am their homeschooling teacher too. 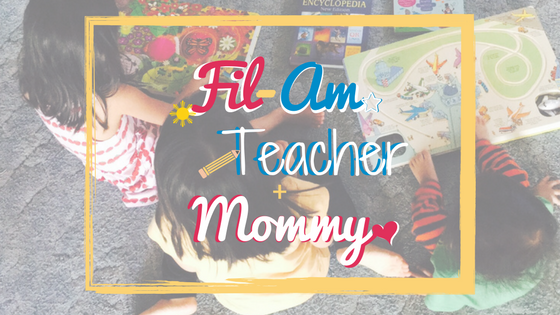 Before I jump in to share what resources we will be using this school year, I’ll give a quick run-down of our homeschool approach and learning styles. (You can also read more about the shifts in our homeschool approach here to see how we’ve developed our perspective and approach with each year). As a family, we are pretty avid readers and enjoy sitting together for story time. We love to curl up on the couch with a good book, or even listen to stories while we eat or pop in a podcast on the road. With that said, we utilize literature-based curriculum. Incorporating stories and storytelling is a major part of our homeschooling day. My children are also very hands-on learners. They enjoy art, movement, games. We also are pretty relaxed with our day. It is mostly because of my toddler who can change things up with the drop of a hat. It keeps me on my toes for sure. So with that said, curriculum that allows us to do things together as a family is more effective for us. Also, lessons that do not require as much preparation, and lessons that can be done in smaller chunks with me work well. Most of the choices we picked for this year are carrying over from last year. Here are our picks for this year’s curriculum. For Language Arts, Social Studies, Science, and Art, we will be using Torchlight Curriculum. which is a literature-based secular curriculum. They currently have two levels published: Level K and Level 1. Level K is geared for ages 5-7 but can be flexible enough for ages 4 to 8. We started Level K this past year, and will be continuing to Level 1 this coming year. Level K’s theme is “Worldly Wisdom”. Each week is focused on a country, and the literature for the week is centered around that particular country. You learn about the culture, the animals, and prominent figures in history. It includes a book to try out recipes from the country as well. What I like about Torchlight is the inclusion of more minority and female figures as well, that you wouldn’t normally see in a typical textbook. There is more representation and also diverse, quality books. We also like that the literature includes poetry and character building, which is not something I have seen emphasized enough. The poetry goes hand in hand with our other curriculum choice, BraveWriter, who encourages Poetry Tea Time as a routine. The theme for Level 1 of Torchlight is “Myth and Magic” Journey through the Ancient World. Torchlight is following the four-year history cycle, so it will be beginning with ancient history. Level K helps young children to get a global awareness prior to delving into the ancients. Although I cannot give a fully detailed review of Level 1 yet, I will say that the booklist looks amazing! Using Torchlight for Level K is a book lover’s dream. 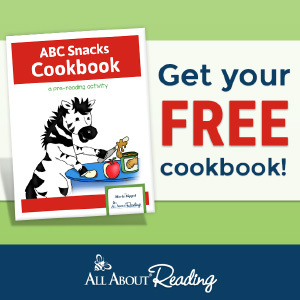 The books make for wonderful read-alouds as a family or independent, silent reading for more skilled readers. As mentioned earlier, our family loves to read, so pulling out the literature and relaxing on the couch made for very enjoyable homeschool times. 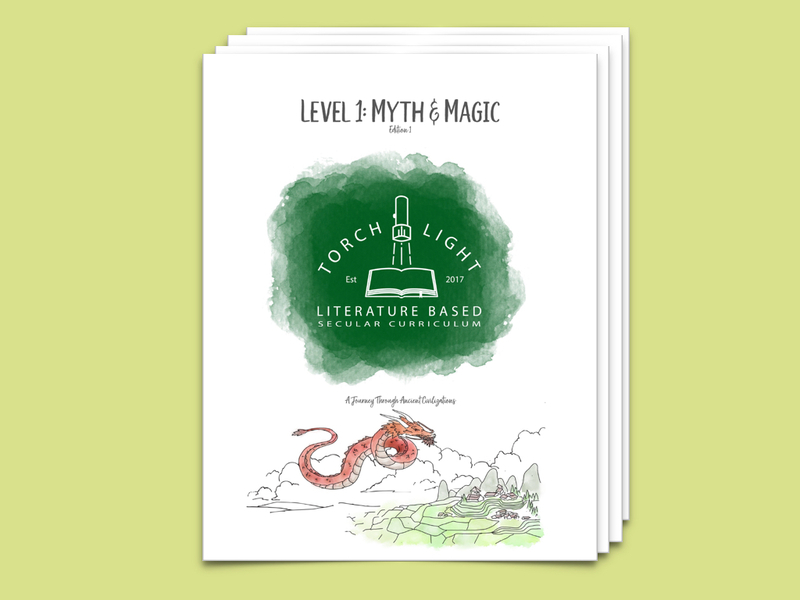 Torchlight Level 1 includes linked booklists to media resources, supplemental book lists for those who want to read more, or who need alternatives, a year-long project, a vocabulary journal “Spell book,” and appendices of games and activities. It includes spines for Literature, Science, Art/Music, and Social Studies. So there are certain books that are used throughout the year for each subject, and many of the books can be used for certain lengths of time. My family loves the use of various literature versus the textbook style, so Torchlight is perfect for us. For Science, within the year, they also incorporate Be Naturally Curious,which includes mini-courses and units. As a Torchlight user, you receive a coupon code of 60% off as well. What sets this program apart also is their Socratic approach to teaching. It does not include quizzes or assessments, fill-in-the-blank, or multiple choice type questions. It focuses on natural discussion and discovery of the answers through conversations and inquiry. While this may not be fit for all learners, since some prefer that approach to evaluating understanding, this style works for our family because I noticed that one of my children seemed to freeze when given a worksheet of questions. However, when we would just talk about what she read about, she seemed to have more engaging conversations that she would initiate. I just saw a different motivation level with her. I even noticed that she got turned off to one of her favorite book series when I started putting chapter questions in front of her after she read. So, Torchlight worked out much better for her, as we engaged in more lively discussions. The curriculum itself is VERY affordable. You get the pdf file of it to be printed out on your own or kept as a digital file and you print what you like. The pricing for the books can vary, depending on your preference to own all of the books or some of the books. The more budget-friendly way to this curriculum is to check the local libraries for as many of the books. There are also discounted bookstores and online options as well. Torchlight has an awesome Facebook Discussion group that is so supportive, helpful, and very resourceful! They share lots of amazing books that supplement the levels. Although Torchlight covers most of the school subjects, we also will be using other curriculum and materials to go deeper within each subject. Here is what we will be using in addition to Torchlight Curriculum. 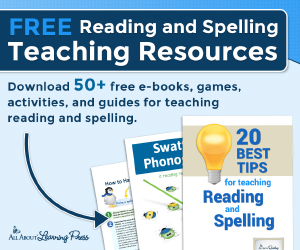 My first grader will be continuing to use Happy Phonics, which is a fun phonics program that incorporates games and hands-on activities to learn reading. It has a brief teacher’s guide, so is not a typical teacher textbook or a student activity book. Instead, it uses lots of card games, board games, flip books, and mini books for the kids to practice. This worked very well for my hands-on learners who enjoy games. We also use The Reading Lesson book. It is a very straight-forward reading book that the student uses with you alongside them. There is no separate teacher manual, but a set of instructions at the beginning for how to help your child along each page. Teaching writing was truly never my forte. It is a challenge and we have tried different resources prior to this year but did not find the right one until just recently. BraveWriter is one of the most fascinating programs I have learned about this year. Julie Bogart, the creator of BraveWriter is such an inspiring homeschooling and writing guru. Part of the reason why our approach to writing and the components of writing shifted is due to the BraverWriter lifestyle. Before purchasing any curriculum, I learned so much from Julie already from her podcasts and her YouTube channel. You truly get a sense of their approach just by listening to all of her broadcasts and episodes. She also has a lot of free resources available on her website. 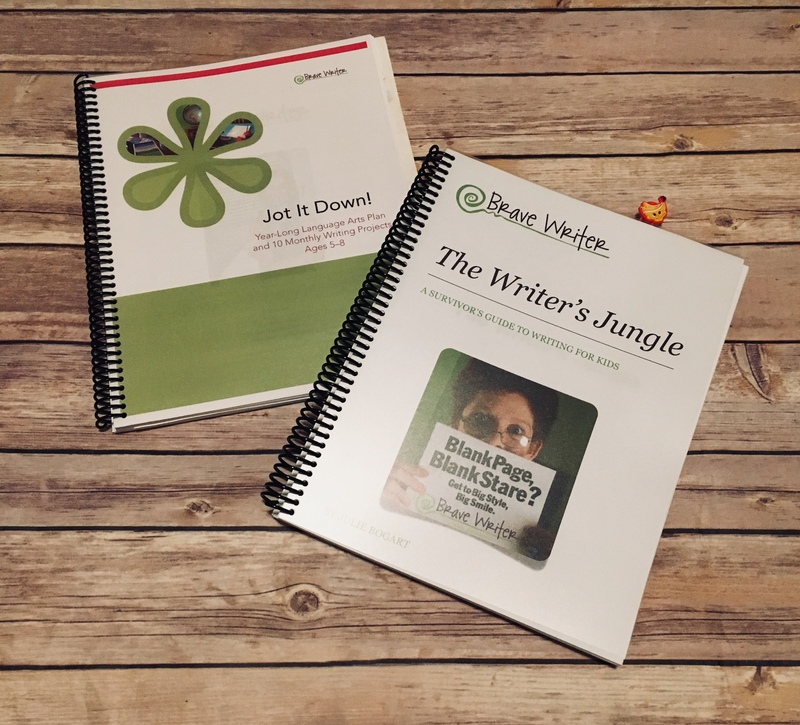 BraveWriter has different products geared for writing, reading, and mechanics of language. For my children, we will be using the Jot It Down program, targeted for ages 5 to 8. Essentially at that beginning stage, the goal is for children to learn about their language-rich environment. They are learning how language works through reading quality material, learning about their surroundings, nature, watching movies, and seeing how writing is used in almost everything and all subjects. At this stage, the focus is on their use of oral language and their ideas. Therefore, the Jot it Down level is for their ideas to be recorded by you, the transcriber so that they can just focus on their thoughts and ideas, and not be stifled by the mechanics of spelling and grammar, which can hinder the creativity and quality of their ideas. We will be using this first level this year and if all goes well, will progress through the additional levels. There are additional products such as The Arrow and Boomerang which utilizes literature, copywork, and mechanics. This Charlotte Mason approach of copywork and dictation allows children to read quality literature and learn about the use of mechanics (spelling and grammar) through other’s work. 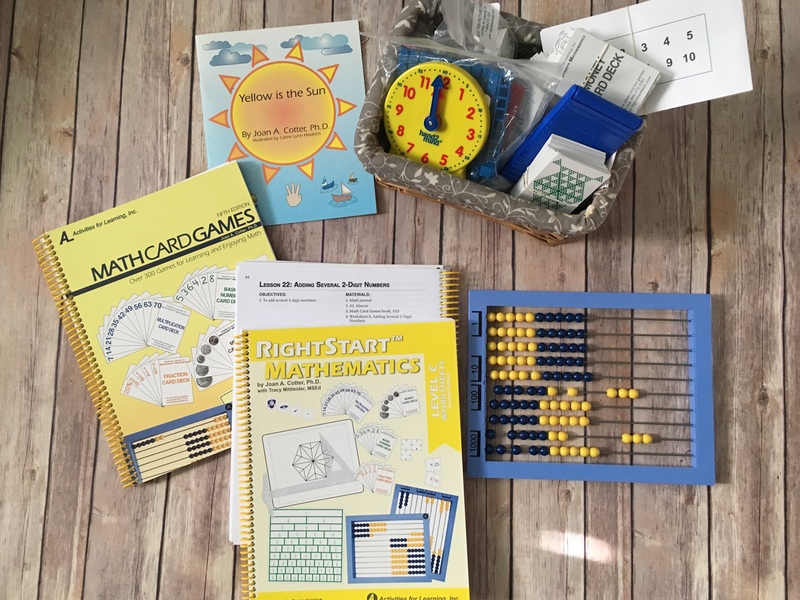 RightStart Math We have been using RightStart Math for two years now. It is strongly manipulative-based which works well for my concrete-thinkers. One primary manipulative used is the abacus. That was definitely a learning curve for me too at first. However, the program introduces “Al Abacus” in a very gentle way, and it actually makes a lot of sense once you learn how it is used. In the beginning, it focuses a lot on seeing numbers in fives and tens. Using the abacus, counting sticks, and your fingers is very helpful. The manipulative set is the same throughout all levels, which is very useful. It is quite extensive and includes: an abacus, a balance, colored tiles, many decks of cards (numbers, base-ten, fractions, money, clock), geometry panels to make solid shapes (which was so much fun for all of us! ), cubes, solid shapes, ruler, geoboards, mini clock, tangrams, tally sticks, meter stick, geometry reflector, and a fraction chart. To see the full list and details about each one, go to this post on their site. The teacher manual is very clear, and although it does take some time to read ahead, there is not a lot of prep. However, the kids and I do enjoy going through the lesson together and using the manipulatives. Some of the lessons have a follow-up worksheet. But the main driving force of the lesson is the manipulative or the hands-on activity. Master Books: Math Lessons for a Living Education is a newly discovered curriculum for our family. We will be starting this with our first grader. The main appeal for this curriculum is the story-based nature to it. All of the levels follow the two characters, Charlotte and Charlie, brother and sister, and their lives and adventures. We love the use of story and seeing how math is used in our world. Each daily lesson is brief too, which works very well for my little one’s attention span. I like how it does include some hands-on activities and the manipulatives that will be used are easy to gather. It is actually quite the opposite of RightStart Math in terms of the manipulatives that come with the program. But this approach seems more suitable for my first grader, who loves the story aspect and colored workbooks. My children learn best through story as I have mentioned, so these are the ideal way for them to memorize their facts. Each of these resources uses story and incorporates the numbers as “characters” in a math fact sentence. The images are adorable and the tales are sometimes humorous and very memorable. 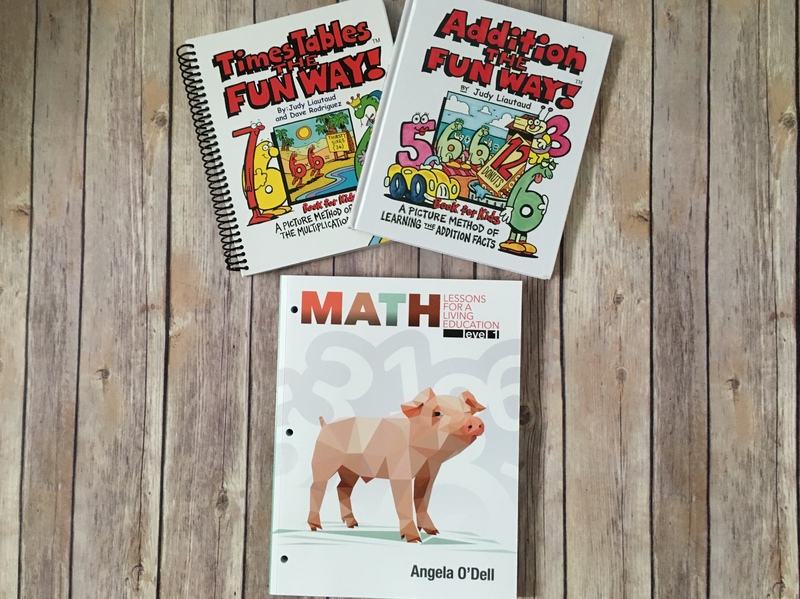 You can learn more details and our experience with these resources in the blog post on “Our 3 Most Highly Effective Math Resources for Learning Math Facts”. These are our main picks for the upcoming school year! (I say for now because homeschool if flexible and fluid. We mostly stick with what’s planned, but sometimes things don’t go the way we planned and a learner needs a different approach or resource). What are some of yours? I love hearing about what other families are using and am fascinated by the diversity of resources out there!